Just like everyone is a little Irish on St. Patrick’s Day, we all become a little Mexican on Cinco de Mayo. Most Americans mistakenly think May 5th celebrates Mexico’s independence, which is actually on September 16th. Cinco de Mayo is the celebration of a band of Mexican fighters and their victory over the French army in 1862. In Mexico, it is largely a regional celebration, while in the States, it’s more of an excuse to have a good time, Mexican-style. 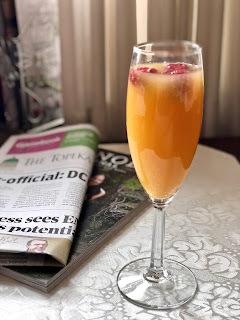 On my Carnival cruise vacation in February, I went on two food-and-beverage-themed excursions, and came away with these recipes perfect for Cinco de Mayo. 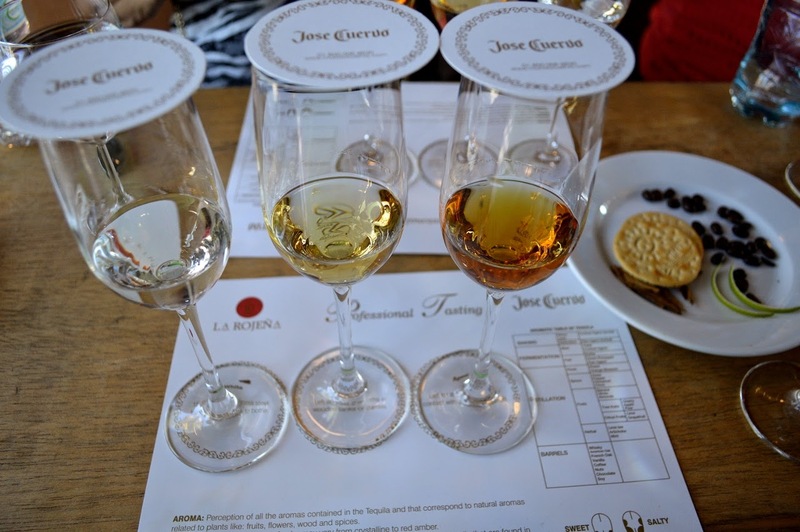 The first excursion was the Tequila Experience at Discover Mexico Park in Cozumel. I participated in a professional tequila tasting. Set up like a wine tasting, we learned to judge the aromas, color, body and aging of three different tequilas: White tequila, which ages 15 days in stainless steel tanks before it is ready to bottle; rested tequila, which is left at least 2 months in wooden tanks or barrels; and aged tequila, which spends at least 1 year in wooden barrels. After the tasting, we enjoyed a wonderful Mexican lunch, complete with a Mango Margarita. 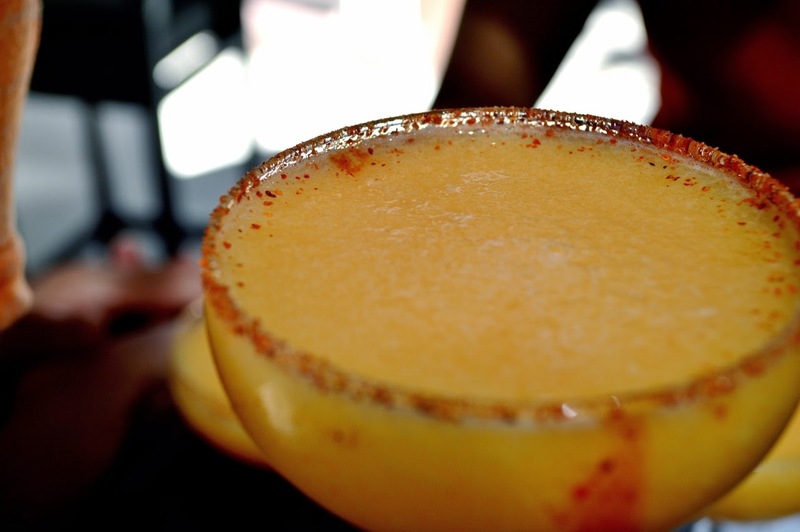 What makes this drink unique is the addition of chili sauce swirled inside the glass, and the rim coated with chili powder instead of salt. The combination of the spices with the sweet mango was perfect. The second excursion was called Salsa and Salsa, where the participants learned to make salsa and to salsa dance! 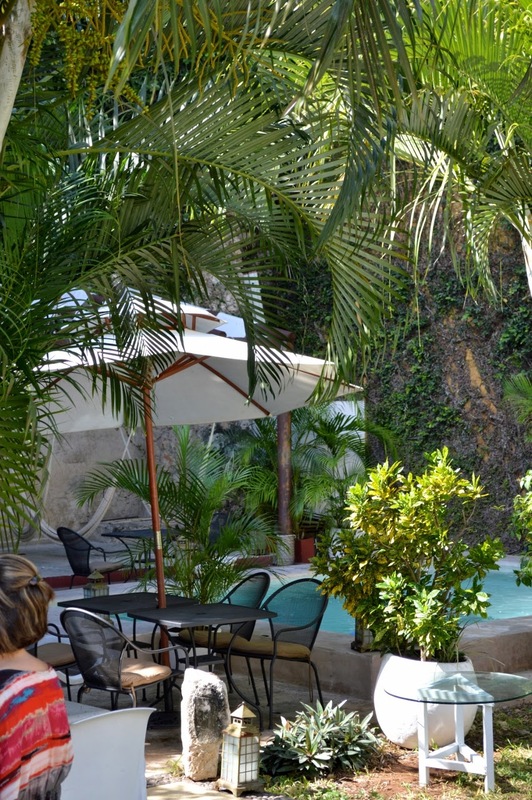 Our guide, Carlos, took us to the Piedra de Agua Hotel in Merida. 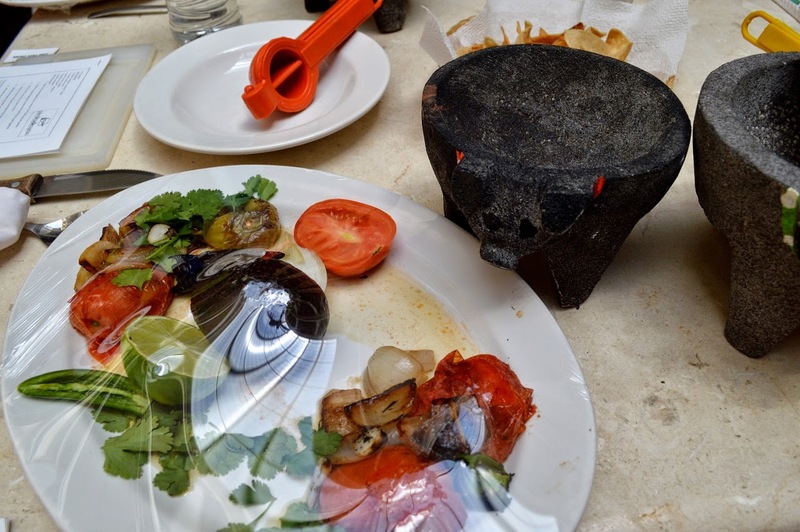 Waiting for us on the tables in the restaurant were platters of ingredients so we could make salsa and guacamole. how to do it well. If you have the chance, I recommend both of these excursions. They were fun, lively, and tasty. Best of all, I have three terrific recipes to satisfy my Mexican food cravings. 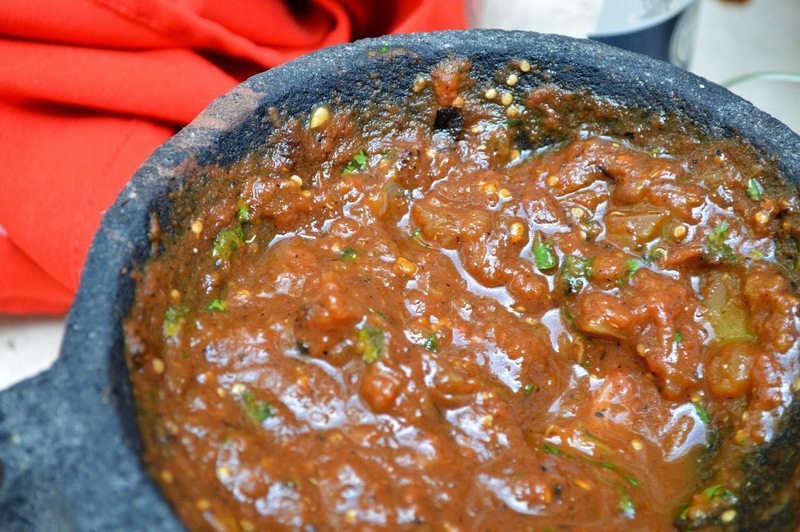 The original recipe calls for Tajin brand chili sauce and chili powder, also called snack sauce and snack seasoning. Check for it in the import food section of your favorite grocery store or Mexican food shop, or order on Amazon.com. Otherwise, just use your favorite chili sauce and powder brand. Place the sugar syrup, triple sec, tequila, lime juice, and mango pulp into a blender. Add ice and blend until thick and smooth. 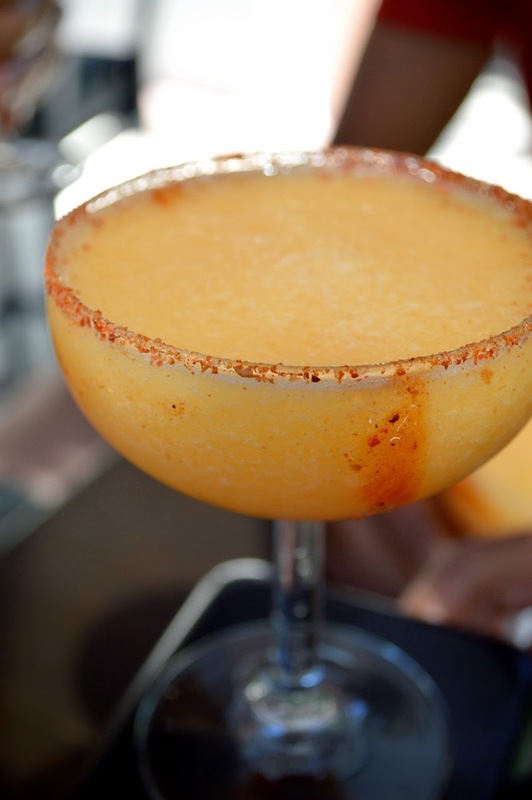 Wet the rim of the margarita glass and dip it into the chili powder. Then swirl a small amount of the chili sauce along the inside of the glass. Pour in the blended margarita mixture and serve. 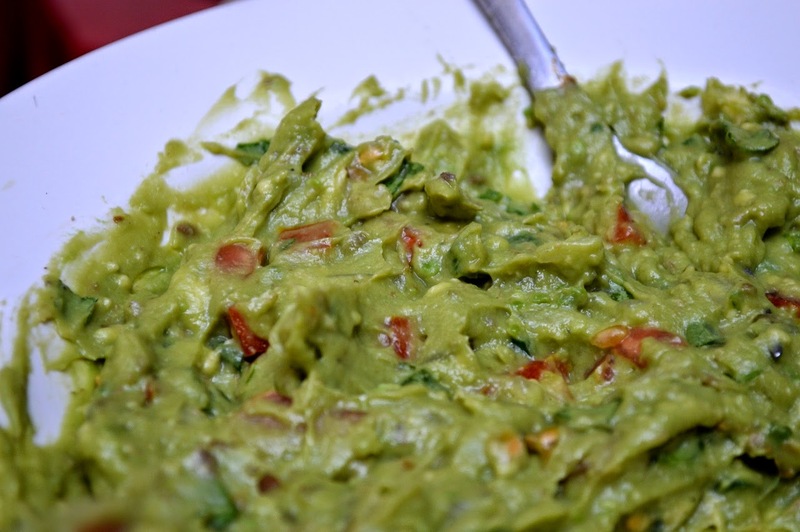 Scoop the flesh of the avocado into a bowl or mortar. Mash with a fork or pestle. Add the tomato, onion and chili. Stir to combine. Squeeze in the juice of the lime, and then stir in the cilantro, salt and pepper. Serve with tortilla chips. The tomatoes, onion, and garlic can be roasted over an open flame or in a 450-degree oven until the skins are charred and softened. 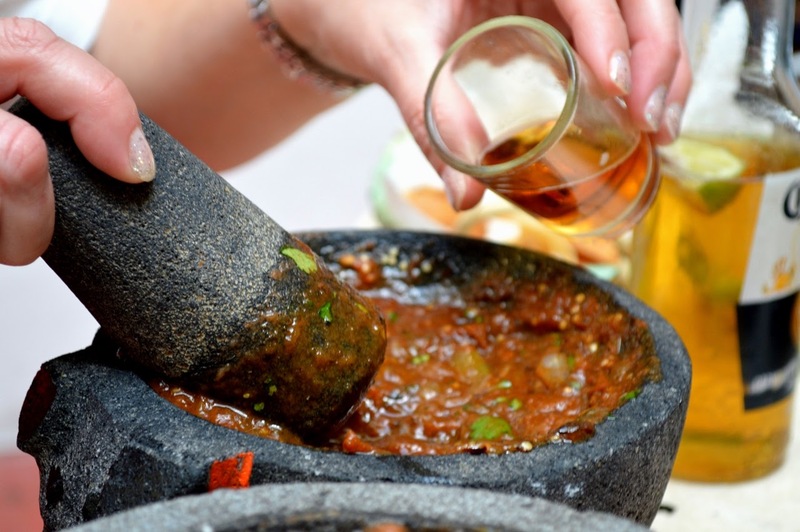 Place the chopped pasilla chili into a mortar or the bowl of a food processor. Mash (or process) until the chili is broken into fine pieces. Mash in the garlic. Then add the tomatoes and mash together. Add the chopped onion, beer, and tequila and mix well. Add the cilantro, salt and pepper, to taste. Serve with tortilla chips. Your post are simply fabulous and inspiring. Thanks for sharing.